Just like many other businesses, not all companies that provide moving and storage services are honest. Not only does this put consumers at risk, it puts a negative light on reputable moving companies. Sadly, many people have faced horrible situations by hiring the wrong company, including overspending, paying and getting no service, and even having goods held for ransom. If you have an upcoming move, whether residential or commercial, it is both your right and responsibility to conduct in-depth research about any company that you might hire. By spending the time investigating companies of interest, you can prevent a nightmare from happening to you. Unlicensed – Never hire an unlicensed company. Instead, hire one that is properly licensed since it is monitored and/or regulated by the government. Hiring a licensed company is one of the best ways to protect yourself, as well as your personal possessions. If a company is not licensed, nothing stops the workers from stealing your goods and taking your money. As long as a company is licensed, you have legal recourse should something go wrong. Lack of Insurance – Having no insurance is another red flag indicating a dishonest company. More than likely, moving companies that have zero insurance protection are not legitimate. Even if you are handed “proof,” take a minute to contact the insurance provider to verify that coverage is in effect and for the amount indicated. When working with a company that does have the right type and amount of coverage, you can file a claim for monetary compensation if something is damaged or destroyed. Lack of Association – Today’s moving companies are associated with or members of various industry organizations. As a prime example, an honest company would likely have certification with the American Moving & Storage Association, which holds members to high standards. For certification, moving companies are required to prove licensing and have a solid reputation for excellence. Consumer Feedback – There is a slight catch with customer feedback in that dishonest moving companies can hire people to post positive comments. However, if you visit reputable sources, the feedback is probably accurate. With feedback, you have the opportunity to read comments from other customers about their own experiences relating to a specific company. In addition, check with the Better Business Bureau to determine if there have ever been complaints, what any complaints consist of, and whether any complaints are still outstanding.  For more information, question or to receive a free moving quote contact one of our specialists at Rainbow Movers today. Give us a call at (508) 528-4111.